Millennials and Gen Z’s are a powerful force that shape the foodservice landscape. Ingredients, processes and dining environments are changing in line with their needs. Because of this, the Australian foodservice sector is about to undergo a massive change. The restaurants that thrive will be the ones keeping up with trends coming out of America and the UK. Here, we take a look at the five things you’ll be seeing everywhere in 2019 and how you can incorporate them into your menus. According to American studies, Gen Z is ordering take out more frequently than other generations, often three or four times in a typical week*. Online platforms like MenuLog and UberEats have started setting up ‘dark’ kitchens solely for take away orders. On top of that, Gen Z and Millennials are unlikely to eat alone, which means that mid-week take away is likely to grow. Is your menu optimised for take away? Ensure if you don’t have a dedicated delivery service that you have a system for take-away orders or are listed on online peer-to-peer delivery platforms. This means also ensuring that your food ‘travels’ well, even if that isn’t how the chef intended it. Burgers in American outlets like Shake Shack are eschewing traditional buns for products like potato buns with great success. The softer, moister crumb and novel flavour is proving a big hit with diners looking for classic cheeseburger and hamburger builds. Diners are sick of crunchy messy burgers, or ones that fall apart in your hands are you eat. 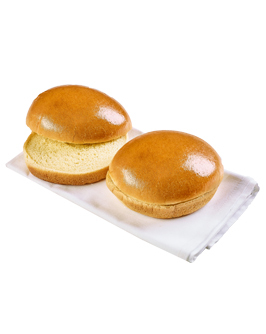 Potato buns are solving this issue. This is an easy one to incorporate into your menu. 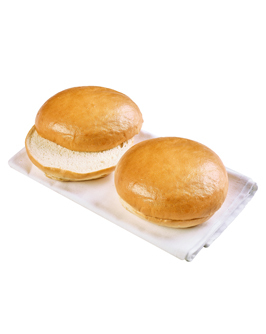 And with frozen buns at the ready you have the luxury of offering a range of buns to give diners their choice of favourite – from brioche to potato, damper to traditional. There was a time when a vegetarian was an unusual diner at a restaurant, someone the chef had to appease. Today however, vegans, vegetarians, ‘flexitarians’ and ‘reducetarians’ are much more common and it is changing the way chefs approach menu design. In 2019, menus will devote a much larger portion to vegetarian offerings and main dishes will begin to hero vegetables with proteins as the complement. As chefs begin to embrace alternatives like tofu, beans and tempeh, there will be more meat-free days for diners. The trend will likely also see a complementary uprise in gut-friendly foods, organics, fermented foods and those with a focus on anti-inflammatory ingredients as consumers become more attuned to the needs of their bodies. Many of the ‘meat avoiders’ are choosing to lessen their meat intake for the sake of the planet, not their bodies. With this in mind, food waste and food miles will be back on the agenda in 2019. Diners are beginning to see the link between consumption and longevity, making them more conscious of what they are spending their money on. We’re beginning to see a much larger emphasis on buying frozen foods as outlets are more and more conscious of throwing out old, off or stale foods. Look out for suppliers who can deliver products already frozen so you know it will be as close to fresh as possible when defrosted. Buddha bowls, acai bowls, burrito bowls, macro bowls, hippy bowls, nourish bowls. Cafes and diners are no longer happy with a simple plate of food. Meals must be artfully arranged in a bowl so that the photo is perfect for Instagram. You may scoff, but keep in mind that 59 per cent of Gen Z and 60 per cent of Millennials would order a menu item based solely on seeing a picture* on the menu or on their friends Instagram feed. So make sure it’s pretty! There's no 'one way' to make a bowl, and that's the beauty of them. Get creative – burger bowl anyone? – just make sure there is one of each ‘macro’ or nutrient. A good mix of carbohydrates, proteins and fats and a hearty dressing. Of course, there are so many menu items and products that will pop up over 2019 as Gen Zs and Millennials continue to shape our foodservice scene. 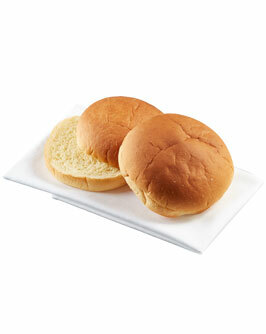 But with a head start like this you will be well on your way to providing trend-leading food in your area.